VPNs aren’t just an option anymore, they’re a mandatory requirement at least for those of us who value our privacy, anonymity and freedom of access. That’s exactly why I’m scribbling this VPNSecure review over here. There are quite a few VPNs in the industry, a couple hundred to be honest, hence it’s hard choosing the one VPN which actually provides the privacy and anonymity that each of those VPNs “claim” to provide. Let me tell you how I judge a VPN and proceed with the review so you know it’s a fact-based review not guided by emotions, or any other personal bias. I simply take the countries available, connection protocols, logs policy, user-interface, speed and other major factors into account and scribble them out here with all transparency for you folks to be the judge and jury for the VPNs. Before starting with this VPNSecure review, let’s take into consideration a major question related to VPNs, why do you need a VPN to begin with? (It does a lot more than most people know). The common concept of using a VPN is- It changes your IP address. Well, that’s true, but it also adds a ton of protection to your internet activities, and because of the IP-change, a lot of positive side-effects kick in by themselves which further make your life easier. First of all, whenever you change your IP address, your virtual “location” is changed, so any and everyone tracing or tracking you would get that other location you’ve selected using your VPN and not your actual place of existence. Secondly, nearly all the websites and content blocked on the internet are blocked via “IP addresses” or geographical parameters, so users using a specific IP address, or belonging to any specific region can’t access the blocked content. But because a VPN changes your IP address, which in turn changes your location, all the blocked content on the internet can be unlocked including Netflix, Hulu, and all other similar restricted websites. 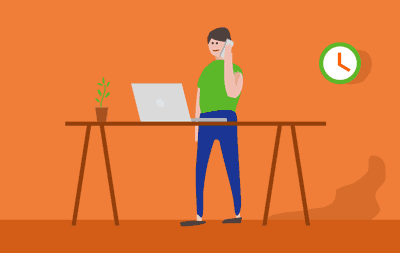 That’s not all, a VPN also increases your security multiple folds, the default, non-VPN internet connections aren’t encrypted as good as they’re encrypted with a VPN, a VPN uses many different connection protocols to make sure your traffic is wrapped in as many layers of encryption as possible. Because of this, not only your privacy remains private and safe, but also, any hacker, agency(s) or any other third party can’t intercept your traffic and hack into your system or cause any other damage to you. 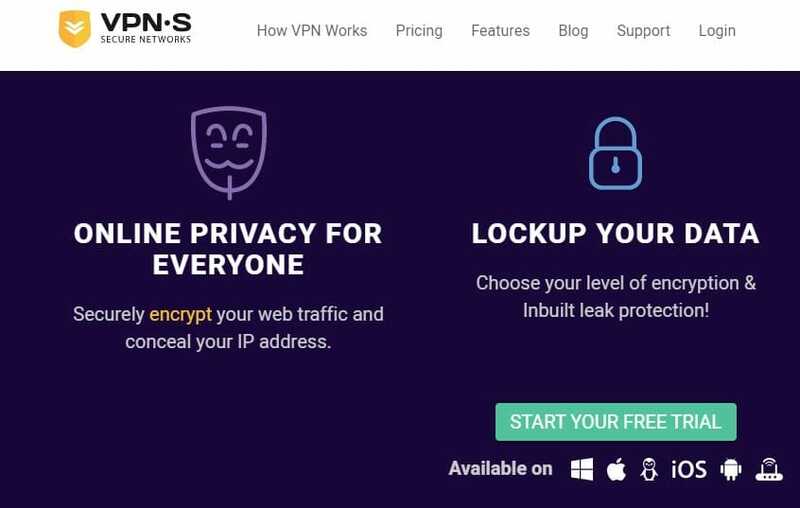 And these are just some of the benefits of using a VPN, I guess you’ve got a good idea of the benefits of a VPN by now, let’s get on with this VPNSecure review then? Here’s an aerial view of VPNSecure for those with limited time on their hands, if the overview interests you, keep reading, if it’s not what you’re looking for, you’ve already got your answer. Countries Available: 48 (Multiple cities in most countries). Platforms: Windows, Linux, iOS, Apple OSX, Android, Routers. Now that you’ve got a basic idea of the platform, let’s get a deeper insight into the features. I pay special attention to user interface for the reason that if the interface isn’t simple or easy enough to understand, no matter how feature rich any tool is, users won’t be able to use it, right? As is evident, there’s no rocket science, you can see all the available countries on the page itself which can be scrolled down using your mouse as is natural, your current IP address and country are displayed at the bottom as well. The three vertical dashes at the top-left corner help you reach the options for the VPN, from where you can reach the different parts of the tool. 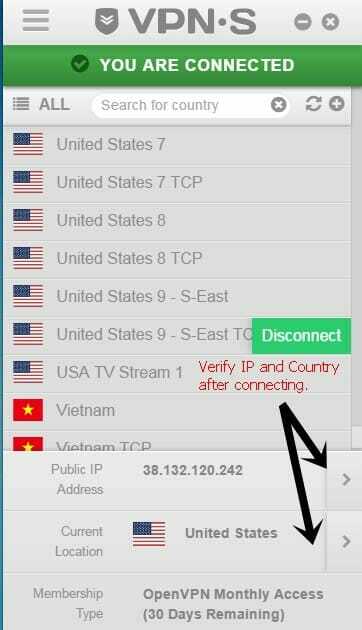 Connecting to countries is easy enough too, a single click is all that’s required to connect to any country or IP address using the VPN, and there’s a forward arrow just near the current location tab, clicking on it will let you verify your country and IP address so you know the VPN is actually working. So in a nutshell, I don’t see much to complain about with VPNSecure’s user-interface, even if it’s your first day with the VPN you shouldn’t have problems understanding what’s where and how to use it. The most important weapon in any VPN’s arsenal is its list of IP addresses available and the countries which it supports. Well, VPNSecure has IP addresses from as many as 48 different countries, and in almost all the countries you can choose from different cities and IP addresses. So the total number of IP addresses far exceeds the number of countries, i.e. 48 and is over 120. There’s no point in listing all the countries, but I’m sure even though the above list is only a fraction of all the available countries, you got a good enough idea that you won’t run out of countries, or IP addresses to choose from with VPNSecure. So I personally am happy with the choices being offered, and countries too did not give me any complain-room as far as my personal experience with the VPN goes. For some reason, I couldn’t find an option which would let me choose the connection protocol I’ll like to go with, so that’s a big downer for me, as I like to be in control of my traffic encryptions. Although yes, it does have a “Stealth mode” checkbox which did let me enable or disable the stealth mode, so let’s talk about that first. It’s an advanced firewall-bypass protocol, which allows you to get access to content from extremely restricted regions or servers (Deep Packet Inspection firewalls), such as China. But it’s comparatively slower than other protocols. 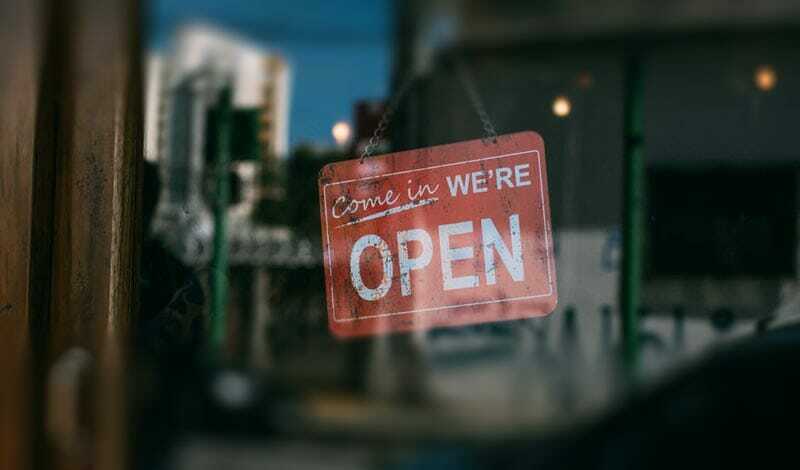 Apart from Stealth mode, the other connection protocol that we can talk about in this VPNSecure review is OpenVPN, OpenVPN has two connection types, TCP and UDP. TCP is more reliable yet slower, while UDP is faster but less reliable. One of the features I loved is the ability to choose the encryption cipher ourselves, we can choose from the three cipher strengths and hence the type of connection we want. Additionally it also has HTTP Proxy as well as SSH Shocks. So bottomline? Even though it lacks some of my favourites such as IKEv2 or SSTP, the encryption is strong and advanced enough to bypass almost all censorships and get me the privacy I’m looking for. A single VPNSecure license can be used on as many as 5 devices, meaning it’s perfect for most small-mid size homes, which have 4-5 devices using the internet at a time. You do not need to pay 5 times for the 5 devices, but just once. 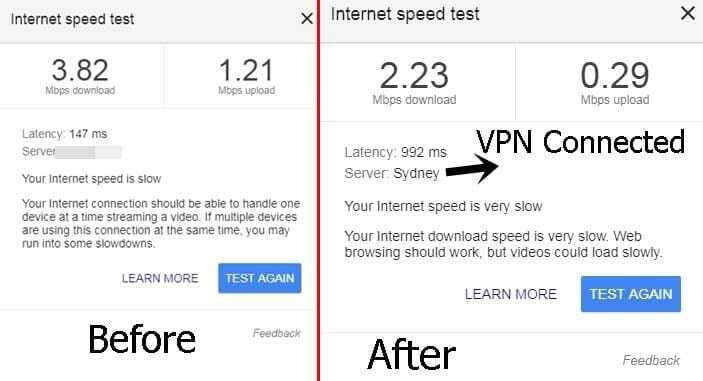 Like most other VPNs, VPNSecure too doesn’t limit the bandwidth that can be used with the VPN, meaning no matter how much data you consume over the VPN, it won’t ever be limited or restricted. 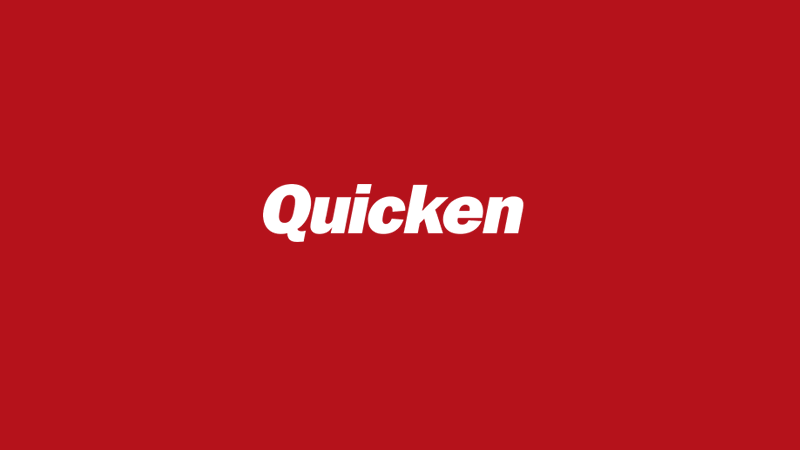 The same holds true for speed as well, feel free to browse to your heart’s content without having to worry about restricted speed at any point of time. Talking of speed, my speed was reduced by around 40-45% when using the VPN as compared when I was on a naked connection. Without the VPN, I was getting a speed of 3.82mbps, I connected to their Australia-2 server, and it dropped down to 2.23mbps. Now, obviously the speed dropped, but it didn’t completely die, infact considering my normal speed I hardly noticed the speed difference while using the VPN, as even 2.23mbps is good enough for most browsing activities (unless obviously you’re on the Tor network). So final verdict on the speed? It’s not awesome, but acceptable. Any VPN without a No logs policy, is basically a scam. Cause, if they log your activities, IP address, choices of servers or anything else, obviously your privacy can be breached from that log, right? VPNSecure has a strict no logs policy, and they do not store any data whatsoever which is one of the major points which pushed me towards scribbling this VPNsecure down. Kill switch is basically a feature which makes sure that if for any reason your VPN connection suddenly drops, your internet connection as a whole is terminated, hence if you’re on the internet you are protected that’s guaranteed. IP leak protection makes sure that your DNS requests aren’t ever leaked, which does happen especially on Microsoft with some VPNs which lack this feature. So even though these aren’t “wow” features, they do add to the overall VPN security. This is the final section of this VPNSecure review, we’ve discussed everything that the VPN brings to us, but does it fit our pockets? Well let’s see, it has 3 simple plans, with the exact same features, the price difference is only because of the billing cycle. So in a nutshell, the plans aren’t expensive, and neither would you face problems making the payments. So that’s a wrap as far as this VPNSecure review goes folks, I’ve tried my best to bring out all the features of the tool as transparently as possible to you folks. Although if you ask for my personal verdict, I’d say it’s a well-balanced VPN. Meaning, it’s not “GREAT”, but better than majority of the VPNs out there, and considering the pricing, yeah well-balanced is the term. Do let me know your take on this VPNSecure review and the platform as well in the comments.